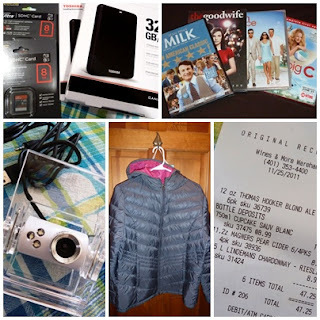 Lostlessness: Thanksgiving and my Black Friday haul! We were supposed to spend Thanksgiving with TP but unfortunately, she was sick. 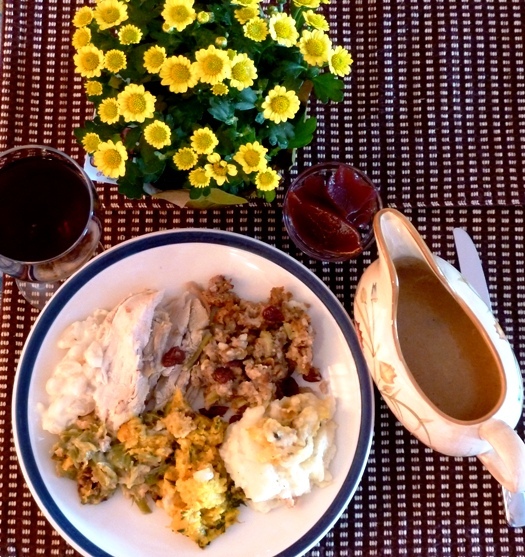 However, she had already prepared the whole turkey and sides for us so we popped by her place to pick up the food. That poor dear was looking kinda green in the face. I hope she feels better soon. 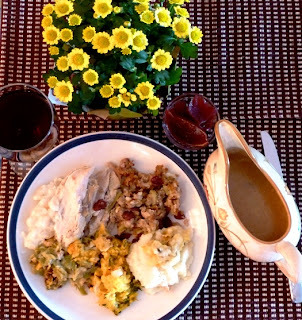 TP had made turkey, stuffing, green bean casserole, mashed potatoes, cream onions and butternut squash. It was a great spread.....the only thing missing was HER :( Anyway, we had promised that we are gonna have her over for dinner once she gets better to make up for her absence on Thanksgiving. RG and I had a tad too much to eat and drink on that day and we decided to head to bed early as our heads were spinning. We weren't planning to join the Black Friday midnight queues anyway. However, the day after Thanksgiving, we hit the malls at Wareham Crossing before noon to check out the deals. The malls were relatively crowded compared to regular days but hardly a mob scene. Although we missed the doorbuster deals....we still managed to lay our hands on some great buys like the following.